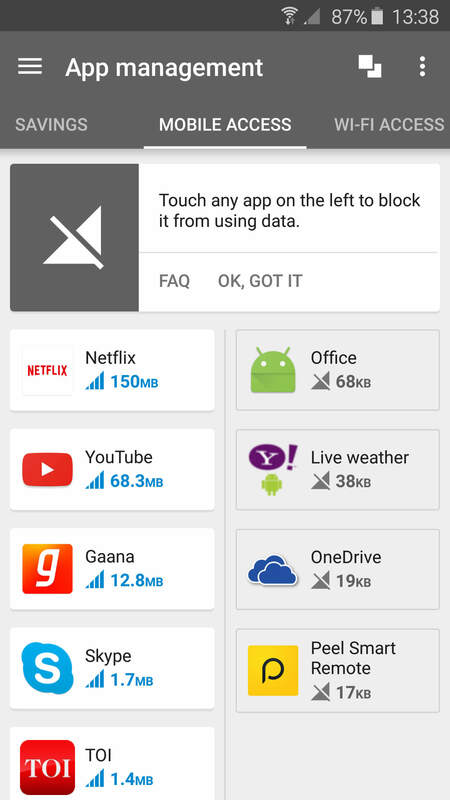 Opera Max is a data-saving app for Android which compresses photos and videos in almost all your apps, shortening loading times, and making your data plan last up to 50% longer. But until now, Opera Max didn't compress encrypted (HTTPS) websites and apps, while Youtube and Netflix both rely on HTTPS video streaming. That's no longer a problem with the new version of Opera Max, since it is now able to compress Youtube and Netflix videos over HTTPS "without any significant loss in quality", bringing, at the same time, shorter buffer times and the possibility for you to watch more videos without going over your data cap. And it also works over (unreliable) WiFi connections. Opera Max is, in fact, a free VPN app combined with unique compression technologies. Furthermore, it includes data management features, allowing you to block one or multiple apps from using your data plan.